Tired of hosting ordinary parties? Take the stress out of party planning with a selection of off-the-wall birthday parties for kids to fit your party needs. Each birthday package includes food, drinks, jump time, table time, and more. Your birthday child even gets a special, free gift from our Launch team. 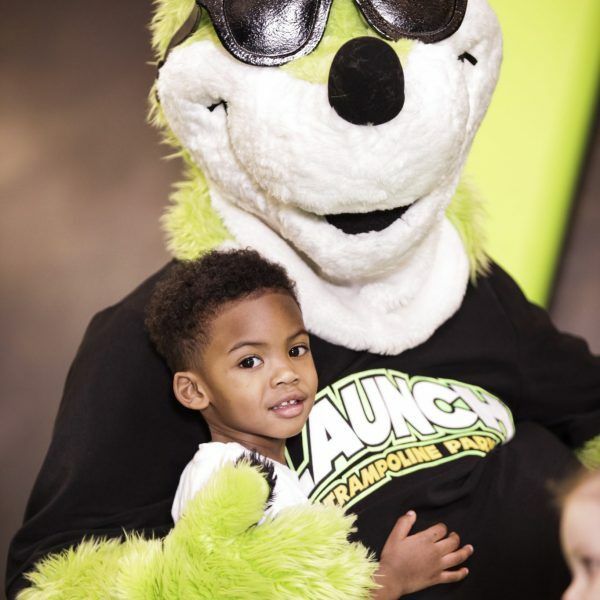 Give your child the best birthday ever at Launch Orlando, FL! Bring your friends and catch some major height on our trampoline courts! Rain or shine, you can LAUNCH into slam dunk basketball, foam pits, or our kid’s court for even more awesome ways to launch around. Come see what all the fun is about at Launch in Orlando, FL! Slam dunk! Bring your basketball game to new heights at the slam dunk trampoline basketball court. Launch in Orlando, FL is the place to practice your trick shots and become your team’s MVP. 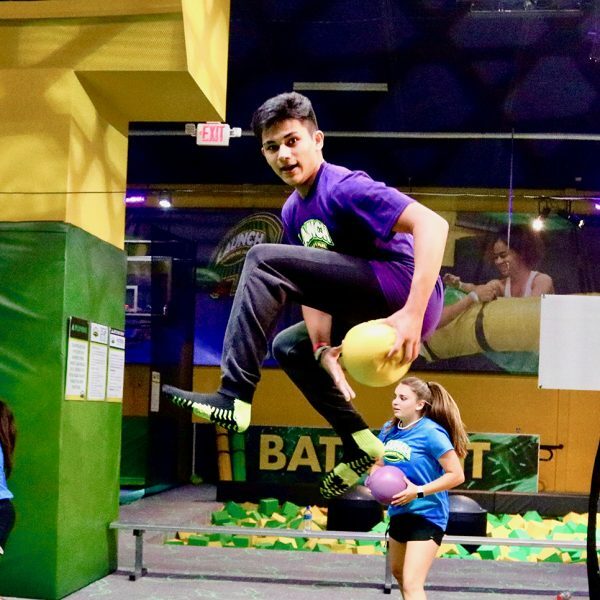 Come dodge and dive while catching tons of massive height on our trampolines! Here at Launch in Orlando, FL we believe that everything is better while defying gravity with friends. This isn’t your average game of dodgeball! Show off your basketball skills on Launch in Orlando, FL’s one-on-one trampoline basketball court! Dribble around and beat your opponent to the rim. Will you be the next NBA star? 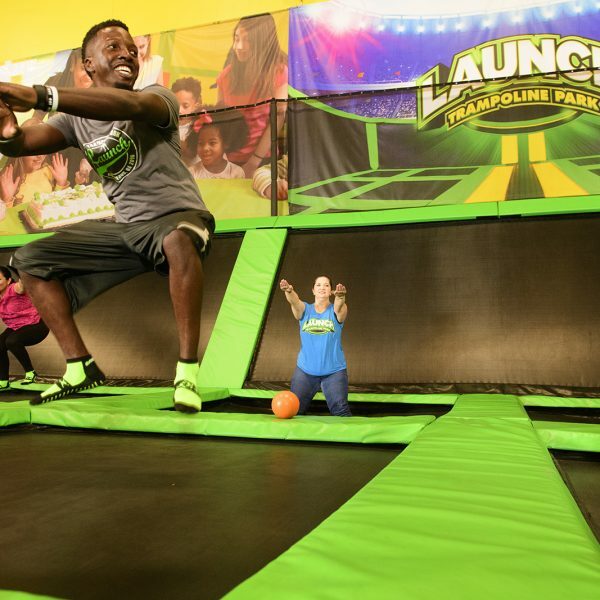 The Launch Pad makes you feel like a professional stuntman while having fun with your friends at Launch Orlando, FL! Who knew falling onto a big bag of air could be so much fun? Don’t hang around at home when you could be hanging around on our indoor mountain rock climbing wall! Challenge yourself or race your friends and family to the top of the Cliffhanger. We have climbing options for all abilities at Launch in Orlando, FL! 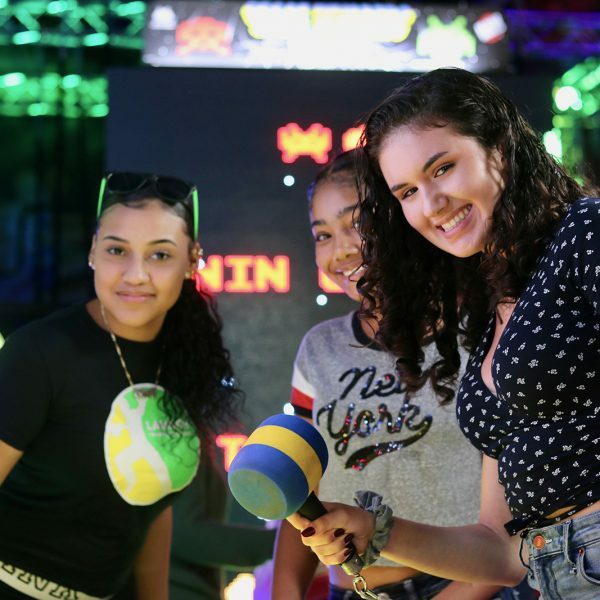 Put those gaming skills to the ultimate test at Fury: A Laser Tag Experience. Join the United Earth or the Martian Syndicate and battle for the galaxy! Launch in Orlando, FL’s state-of-the-art arena is an escape from reality where players can put their gaming skills to the test in a real life battle. 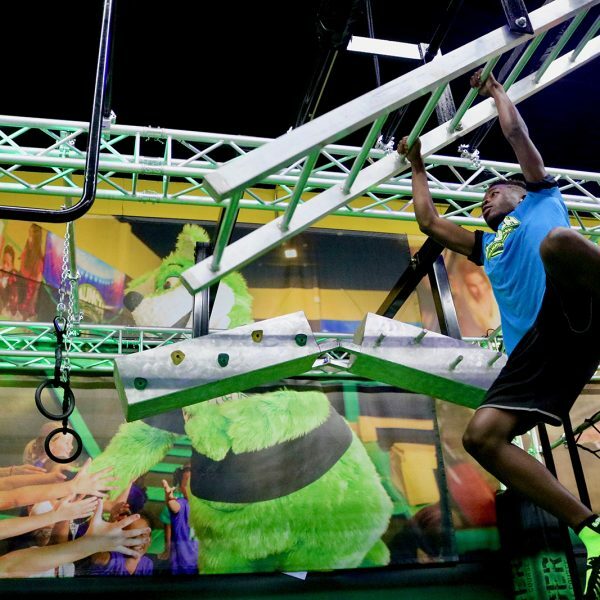 Challenge yourself to scale across our ninja course, The Challenger! Our exciting course has a variety of obstacles that cater to all levels and provide a new physical challenge at every turn. 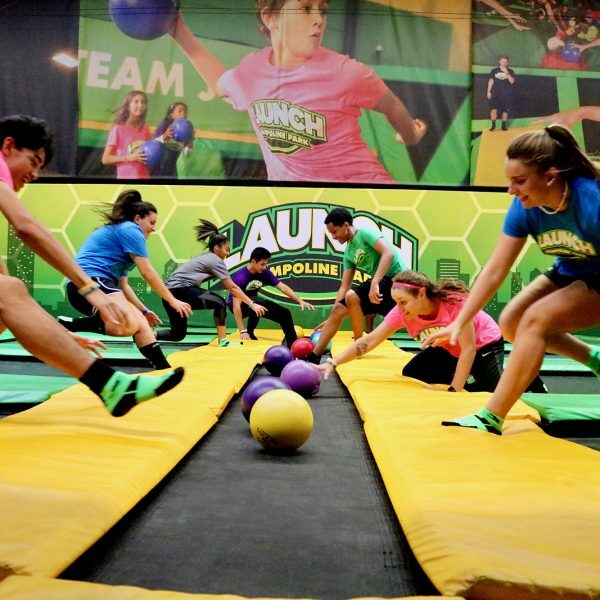 Test your strength on the spider wall, the high flying trapeze, or the warped wall and be the next ninja warrior at Launch in Orlando, FL! Join the fun on Launch Orlando, FL’s multi-attraction battle pit! 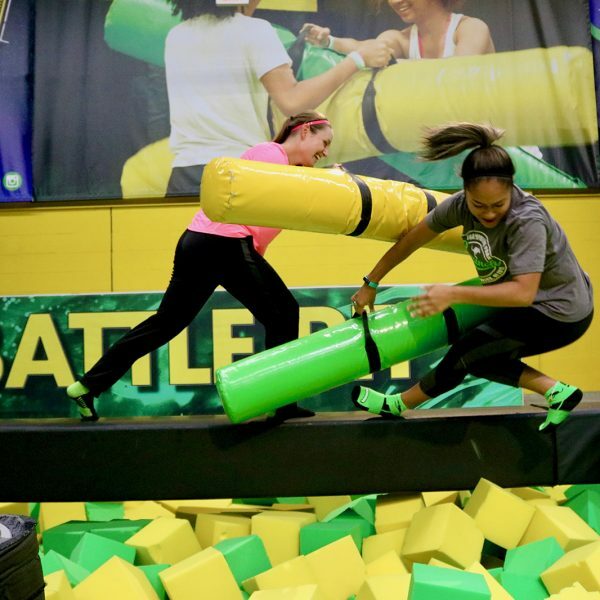 Challenge your friends to joust on our battle beam or bosu balls, then test your skills on the slackline. One wrong step could have you falling into our foam pit! Pretend you are a circus performer on the slackline at Launch Orlando, FL! Try to get all the way across without falling in the foam pit. Choose from over 100 VR games in Paradox, a virutal reality experience. This life-like experience will transplant you into a world of adventure with over 100 action-packed games! Test your mind and skills in Paradox at Launch in Orlando, FL! At Launch Orlando, FL, you can have your food your way! 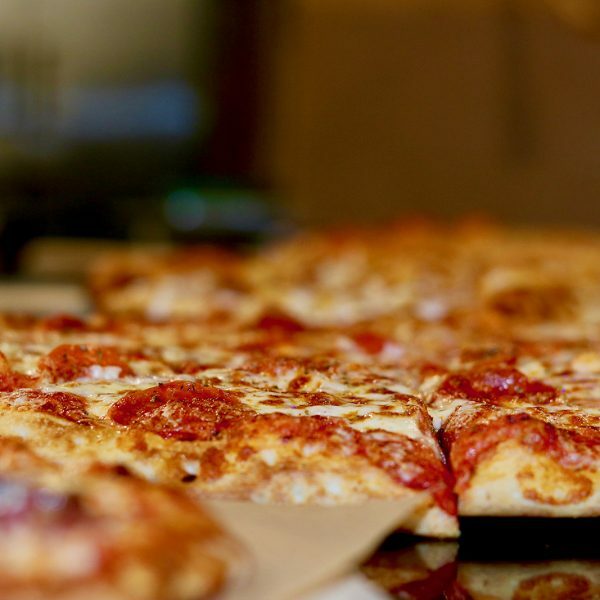 Choose from a handmade Krave pizza with your favorite topping or fresh salad! If you have a sweet tooth, our signature dessert bar and create your own ice cream sundae will satisfy your cravings. You can even choose from unlimited toppings! Launch Orlando, FL has the best food in town! 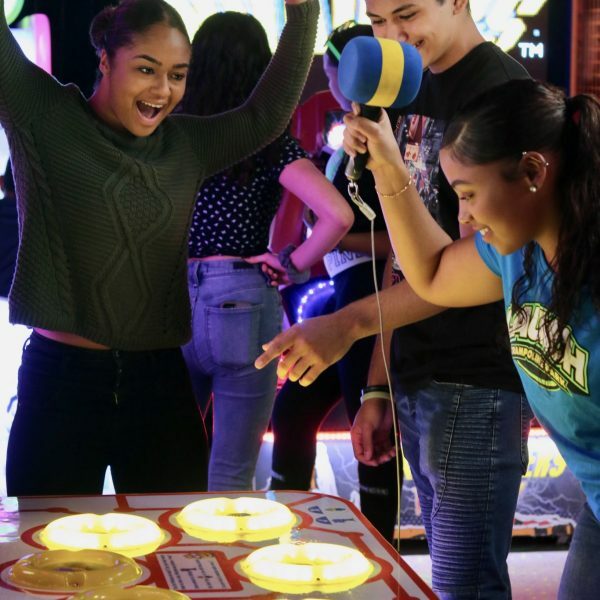 The Launch arcade in Orlando, FL is where friends can challange each other with some of the most popular games around, and win tickets to trade for prizes! The Launch Orlando, FL bowling alley is the best place around for a night out with friends after work or on a rainy day. Three stikes in a row earns you a turkey – but beware of the gutter ball!